Among the changes that can take place in the area where teeth are missing is the eventual resorption of the jawbone. 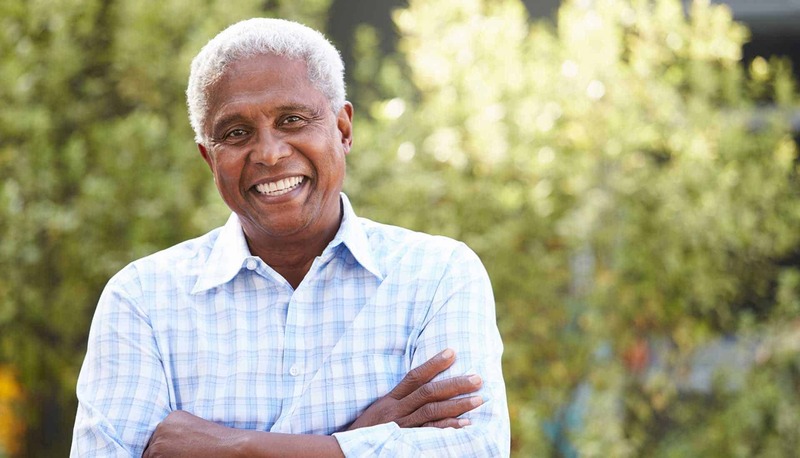 This condition of atrophy weakens the bone, making it unsuitable for dental implant placement; however, today’s technology makes it possible to remedy the situation. Bone grafting results in the body’s ability to grow bone and improve the quality and quantity of bone in areas that have been weakened. Functionality and aesthetic appearance can be restored once again. New bone growth results in changes in bone depth and width that can support a successful dental implant placement. Under normal circumstances, healthy bone is dense enough and strong enough for dental implant placement. Some conditions lead to poor quality bone, which makes implants unadvisable or questionable at best. In these situations, the health of the bone may be restored with grafting. When teeth have been missing a long time, the gums shrink, as does the bone. Bone can also deteriorate when a tooth becomes severely infected. The toxins produced by the infection can cause the bone to dissolve at the apex of the tooth. Even though the tooth may be removed, the damage caused may be enough to prevent a successful implant placement. Bone loss due to severe periodontal disease can also prohibit the use of dental implants. In this situation, once again, the infection causes deterioration and weakening of the bone. Other conditions in which bone grafting may be used are in cases where there is a major defect in the jaw caused by tumor removal, traumatic injury or a congenital defect. There are several methods that can be used for grafting bone. When large defects need grafting, a piece of the patient’s bone is used. This bone can come from various places on the body, depending on the size of the defect. Harvest areas include the skull, hip and lateral knee. These procedures require a short hospital stay. Smaller bone grafting procedures may use a tiny bit of bone from the patient’s upper palate. Sterilized cadaver and bovine bone can also be used in bone grafting. The donor’s bone is grafted onto the weakened site, and the area is sutured and left to heal. This process can take several months as the graft fuses with the natural bone to produce new bone material. The result is stronger, denser bone in the area of the graft. Your dentist will monitor the bone graft site on subsequent visits to ensure that healing is progressing properly. When the new growth reaches sufficient depth and width, the process for placing a dental implant can begin. The prosthodontists at Aesthetic and Implant Dentistry of Atlanta are highly skilled in creating restorations for missing teeth that look beautifully natural. Their specialized training uniquely equips them to produce superior results for the replacement of missing teeth. Contact us today to schedule an appointment for an exam and consultation regarding the best way to replace your missing teeth and restore your beautiful smile.